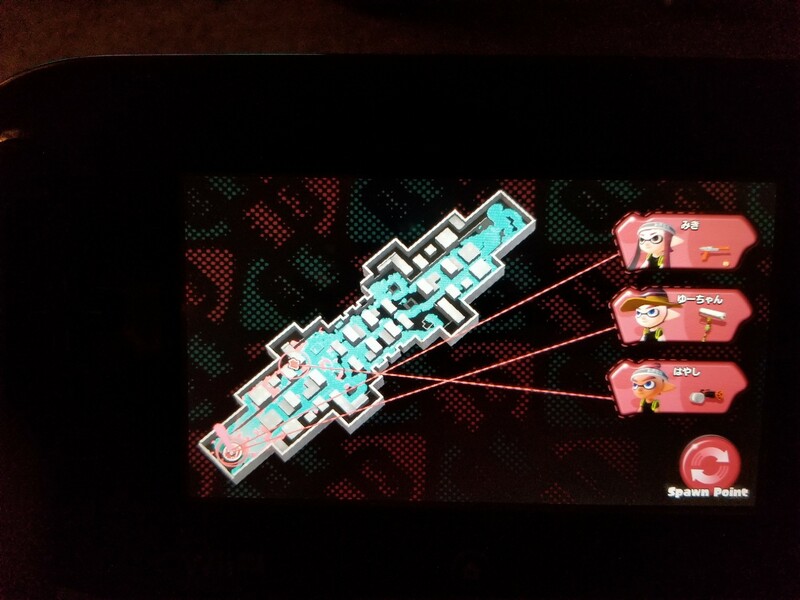 With all the hype surrounding Splatoon 2’s release this weekend (Nintendo Switch), I decided I should finally play Splatoon on the Wii U. I bought a Wii U around the time Mario Maker was taking the world by storm (most of my interest came from watching Patrick Klepek’s Mario Maker Mornings videos). 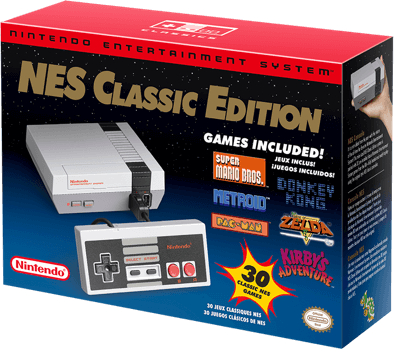 I enjoyed the console at first, but it quickly fell off my radar and began collecting dust. I’d fire it up every now and then, but as someone who doesn’t necessarily enjoy platformers I didn’t get a lot of enjoyment out of it. 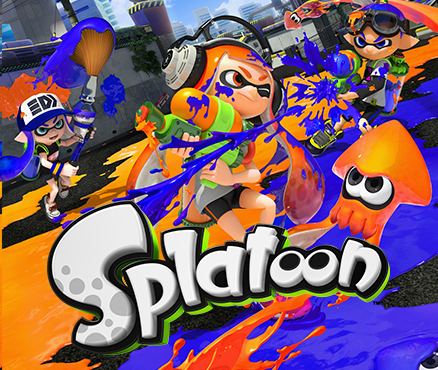 Even though I had heard nothing but good things about Splatoon, it just didn’t seem like something I’d want to play and I never gave it a second thought as the fact that I owned a Wii U started to fade from memory. 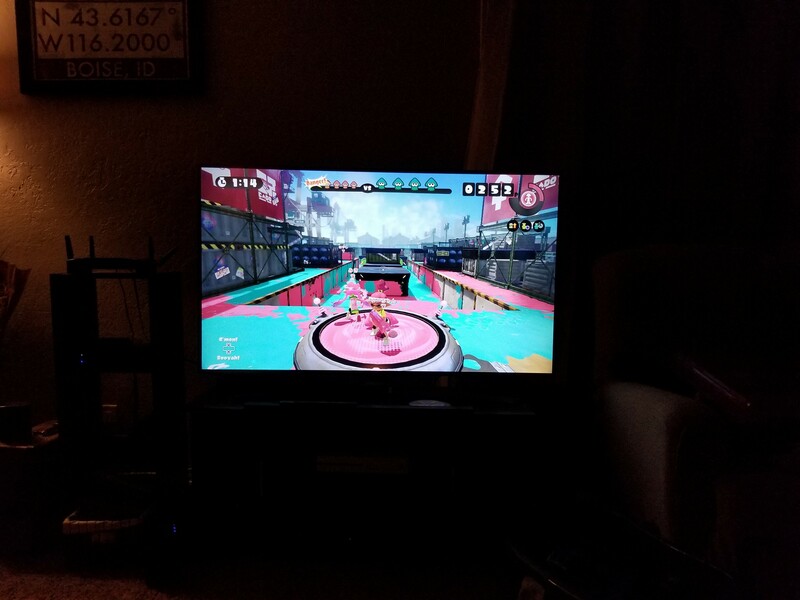 Last night I decided I should give my Wii U one last hurrah, and see if Splatoon would hook me. I’ve only played about thirty minutes of it so far (maybe four or five matches) and while I dig the style and some of the concepts, I’m not certain it’s going to hold my attention very long. I like the idea of trying to stake out territory and push the enemy team back by strategically painting the ground, but with no communication it seems like everyone just runs around and does their own thing. Because of this, every game I’ve played thus far has been a landslide in one direction or the other. It’s never felt evenly matched. Either my team is basically painted into our spawn with no way of advancing, or its the other way around. 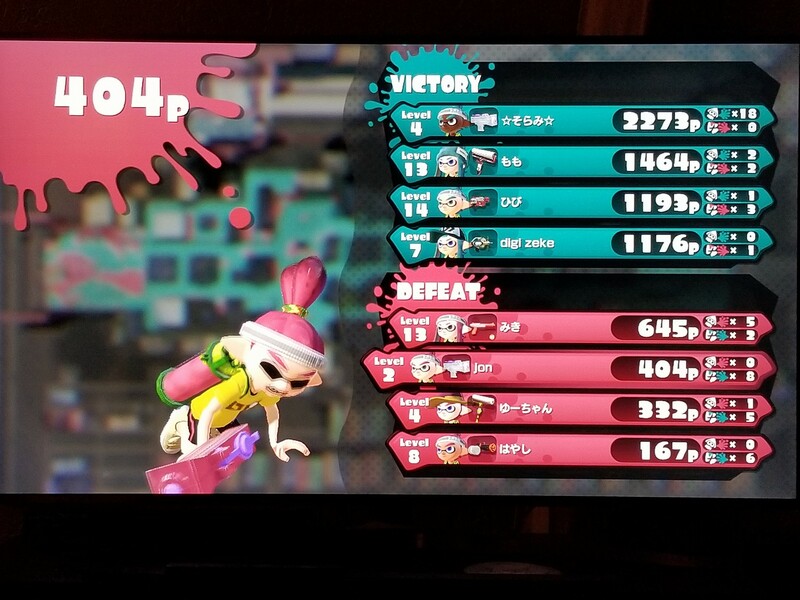 Splatoon’s controls are also getting in the way of me trying to have fun with the game. The motion control aiming feels a little sloppy so far, yet the analog stick aiming isn’t any better. I’m not sure whether it’s just me not being used to the Wii U GamePad or if I need to tinker with the sensitivity, but it hasn’t felt great at all. I’ve found it difficult to place paint exactly where I intend, and even harder to try to take down enemies around me. One more thing that’s got in the way of me having a good time has been the wait time between matches. 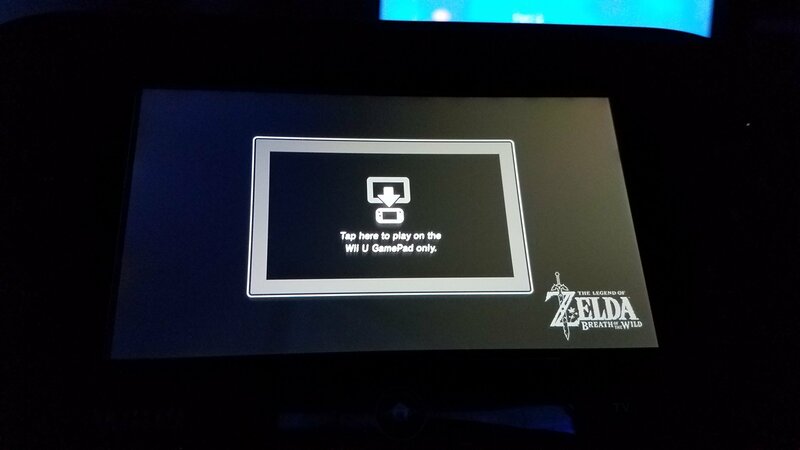 After a few matches I got tired of waiting and just ended up turning the Wii U off. Despite the problems I’ve had with the game so far, I can say it has a strikingly vibrant visual style. I love the way the colors contrast, and the UI is also well done. I especially like the mini-map on the GamePad that shows you all the paint. I don’t mean to sound overly negative about Splatoon, it just hasn’t grabbed my attention so far. I’m going to give it some more time throughout the weekend to see if it grows on me before I put it down for good. If you have any tips or suggestions that could possibly improve my enjoyment of the game feel free to leave a comment. I don’t have any intention of getting a Switch anytime in the near future, so while it’s possible that Splatoon 2 is more refined and easier to enjoy, I’m not quite sold on the series yet. I’m sitting here enjoying the cool breeze and the soft, afternoon sun listening to the upbeat tunes of Sirius XMU and sipping a bland dining facility coffee (made tolerable by irish creme creamer). I’m waiting for Mario Kart 8’s DLC to finish downloading on my Wii U inside the tent, and I’ve decided it’s finally time to reflect on my late October 2015 purchase of the Wii U. As I’ve said before, Super Mario Maker was the most significant factor in my purchase of the Wii U, however I’m happy to say I’ve had many other great experiences with the system. It would be hard to justify a $300 purchase just to play one game, but it’s worth noting that Mario Maker is not just any video game. 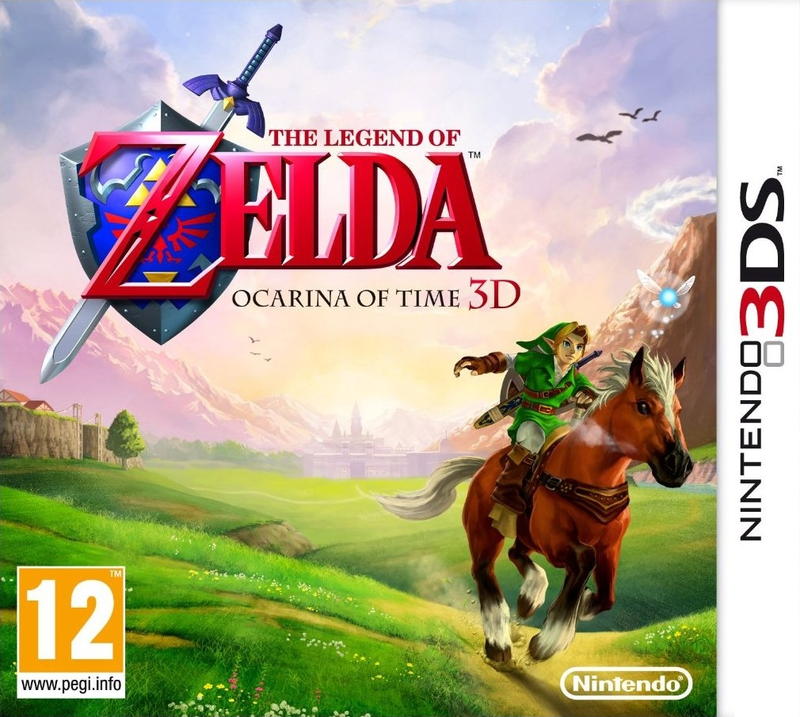 It’s one of the most innovative, yet simple and incredibly enjoyable video games ever released. If the only thing you did with the game was play people’s creations, you’d still have innumerable hours of content at your fingertips. The variety you come across in the Course World (the mode in which you can browse and play people’s levels) is astonishing. I’ve come across a new concept every single time I’ve booted up the game, which goes to show that creative people can take a finite tool set and create just about anything with it. It’s through playing the most creative of levels that you’re able to expand your understanding of what is possible, and you’ll become a better creator every day. I haven’t made very many levels yet, as I’ve found myself addicted to trying to become the first to beat levels as they appear on the ‘new arrivals’ list. If you’re the first to clear a level you’re rewarded with a ‘first clear’ badge and you’ll also be the world record holder for fastest completion. Of course this record won’t last long, and it’s a wonderful challenge to try to master a level and maintain the fastest time. Some of my most memorable multiplayer gaming experiences have come from playing Mario Kart 64, and Super Mario Kart before that. Racing three other friends through a wide variety of courses was fun enough on its own, but the Mario Kart games made sure that everyone could have fun by providing random items ranging from boosts to weapons in order to give everyone an even chance (and hey, even if you didn’t win it was a blast to ruin a friend’s chances with a red shell). Despite having so much fun with the early Mario Kart games, I never really spent much time with any of the others. Mario Kart 7 came with my 2DS, however I didn’t have much fun racing the AI, and every time I tried playing online the lack of interaction didn’t make for a very fun experience. Everything changed yesterday. 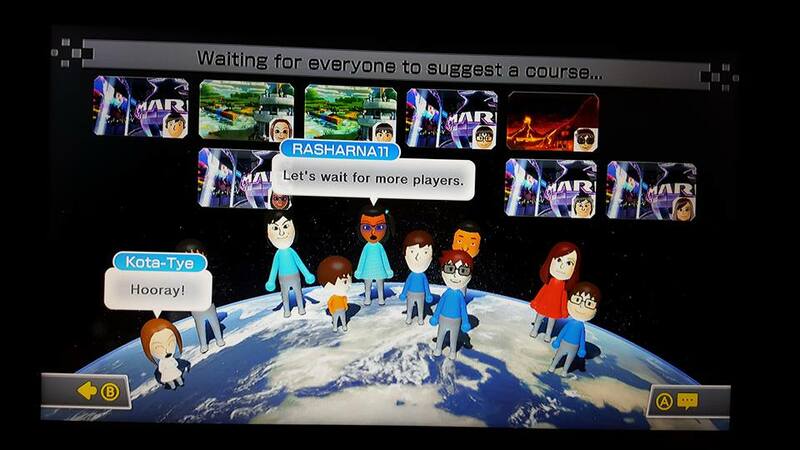 I played Mario Kart 7 locally with five other players, and it was the most fun multiplayer experience I’ve had in years! We did endless 3 vs 3 battles, and the experience was as close to the couch multiplayer of the N64 as anything’s ever come. There was yelling, smack talking and hilarity every step of the way. Even the map voting process was enjoyable, as half of us constantly voted for the N64 classic, ‘Big Donut’. 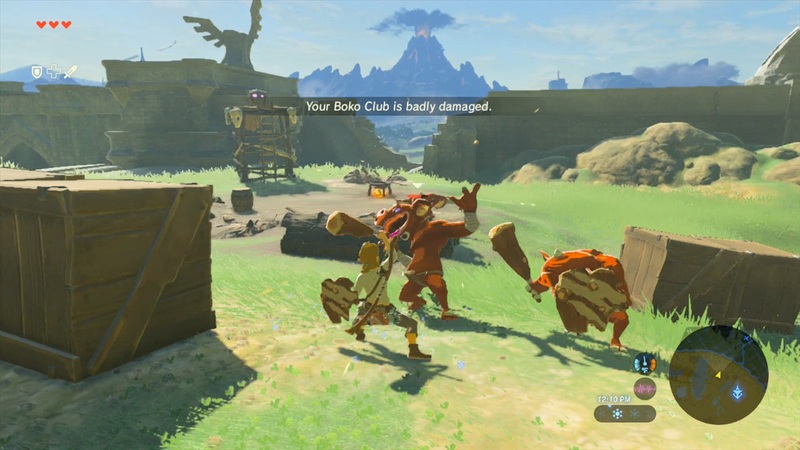 The battles were frenetic and they reminded me of how expertly crafted Nintendo games can be. This experience drove me to finally pick up Mario Kart 8 for the Wii U. I had planned to wait until I return home this spring, however after having so much fun with Mario Kart 7 I decided I couldn’t wait. 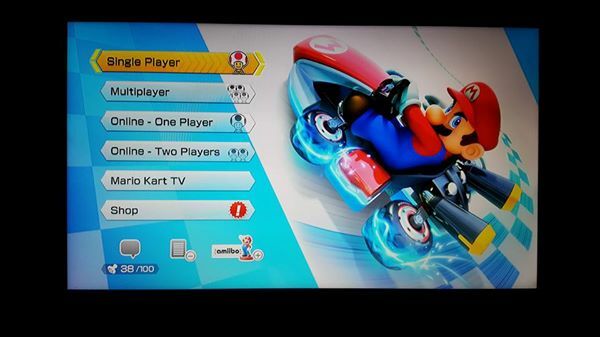 Once Mario Kart 8 finished downloading, I jumped straight into the online multiplayer. The process was smooth and I was in my first race within minutes. I was immediately amazed at just how good the game looks. The vibrant colors are crisp and everything is stunningly beautiful. 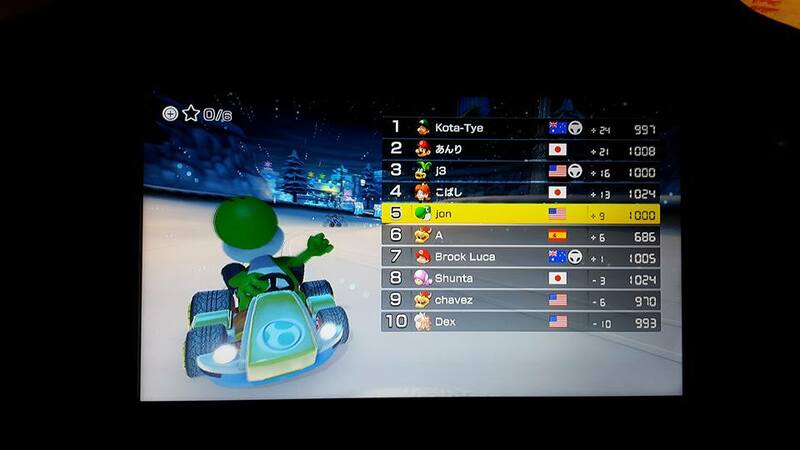 The racing is what you’d expect from a Mario Kart game, and I enjoyed it, even though I couldn’t finish better than 5th place. 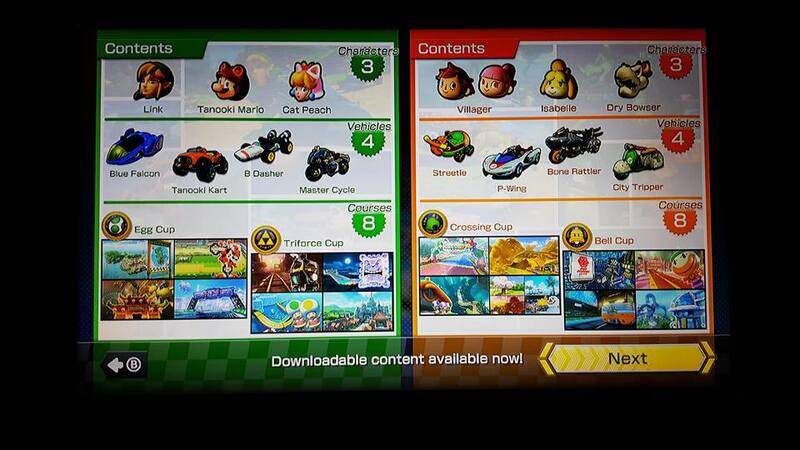 I like how it shows the flags of the people you’re racing against, even within the race you’ll see them next to their names, which gives a more human feel to the other racers. Unfortunately, there’s still not much interaction with the other players. The most you can do is select from a few text responses between races. After trying my hand at a few races I jumped into my favorite Mario Kart mode, Battle. It was enjoyable, especially because I won my very first match, but I can imagine the real fun will be had when there are three other players sitting on a couch next to me (which probably won’t be until after I get home). I hadn’t even played an hour of Mario Kart 8, but I already knew I would want the DLC that’s available, and I was surprised to find just how cheap it was. 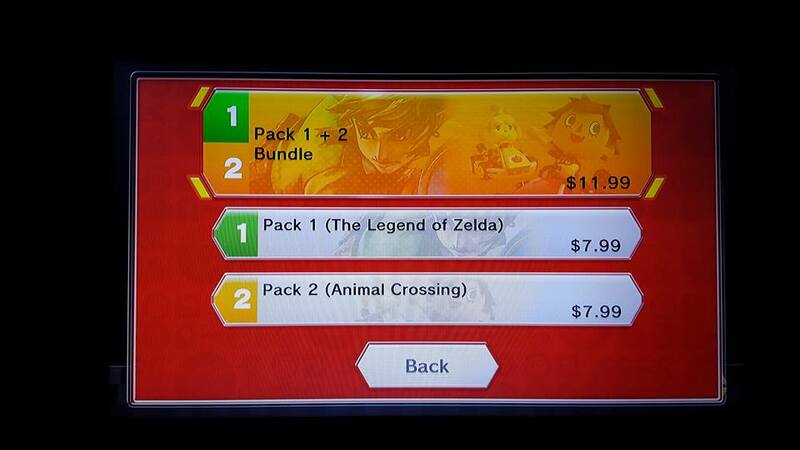 It’s only $11.99 if you purchase the two packs together, which seemed too good to pass up. I’m excited to check out the new content once it finishes downloading (it should be done by now), even though I haven’t even experienced all that is available within the base game yet. I’ve heard nothing but good things about the new characters and courses and can’t wait to take them for a spin! 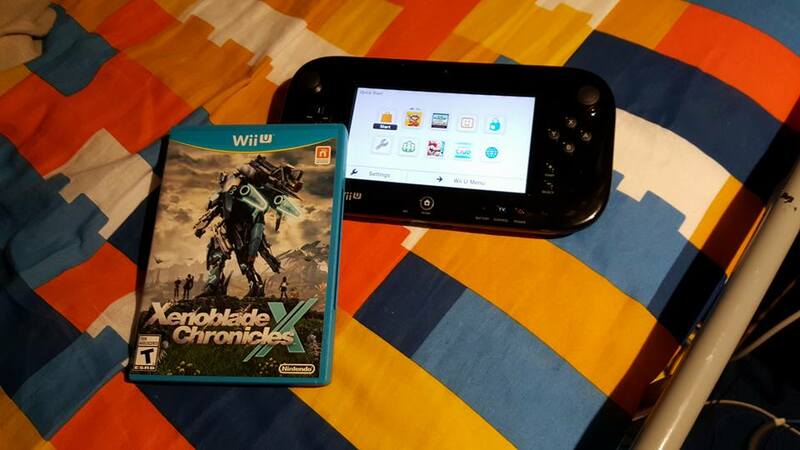 Last week I picked up Xenoblade Chronicles X after watching a few videos that intrigued me. I know absolutely nothing about Xenoblade, but it looked like it would be something fun to check out on the Wii U so I decided I should try it out. Yes, I have LEGO sheets…I’m deployed and sleeping on a twin bed in a tent. Why not have fun? I’ve only played about 30 minutes of Xenoblade Chronicles X, but I can already say it’s unlike anything I’ve played before. 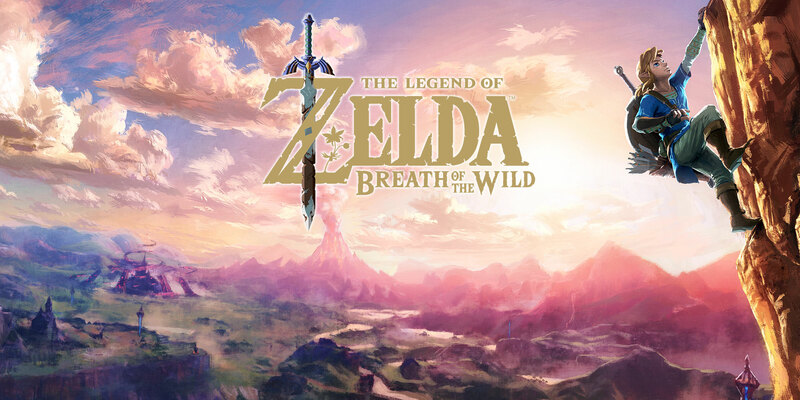 I generally don’t get into Japanese RPG’s, yet I wanted to experience a variety of content on the Wii U and figured it’d be worth trying out. I can’t say for sure whether I’m going to like the game, but I hope to spend some more time with it this evening. I’ll try to post a more detailed impression after I get a few hours in, but all I can really say right now is the game looks pleasant graphically (though the characters seem a little dated) and the combat has been smooth. When I decided I wanted to check out Xenoblade Chronicles X, I went to purchase it in the eShop only to find I didn’t have enough space on my 32gb Wii U to download it. I’m not a fan of buying disc based games (I prefer all my media to be digital), but I ended up having to buy the physical copy. Since then I picked up a 64gb thumb drive which turned out to be an easy enough method to expand the Wii U’s storage (it was formatted and ready to use by the Wii U within seconds). It’s unfortunate that the Wii U has such little internal hard drive space, but external storage is cheap enough these days to remedy the problem. It’s been strongly hinted lately that the Wii U’s successor (known as the NX) will release sometime this year. 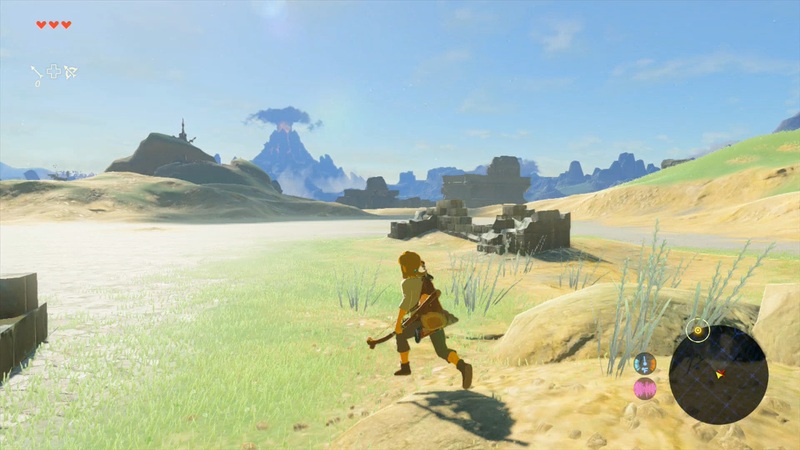 Hardware manufacturer’s have revealed that the console is already being manufactured, which has lead most people to expect a release date as early as 2016’s E3. 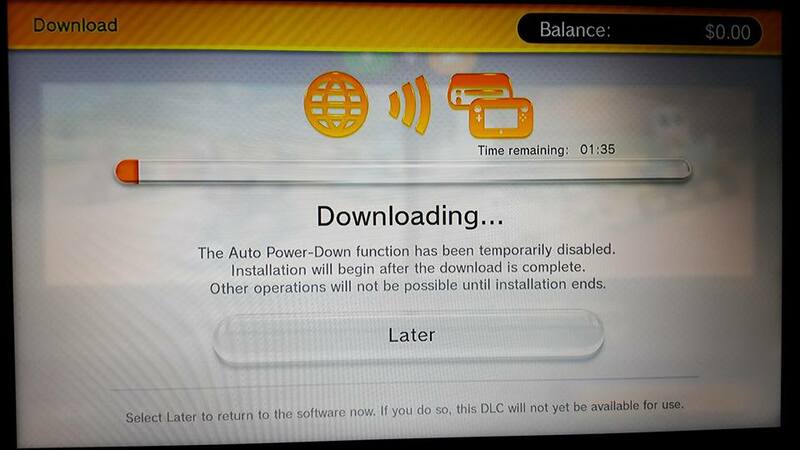 This most certainly means that there will be very few games released for the Wii U before it is made obsolete. 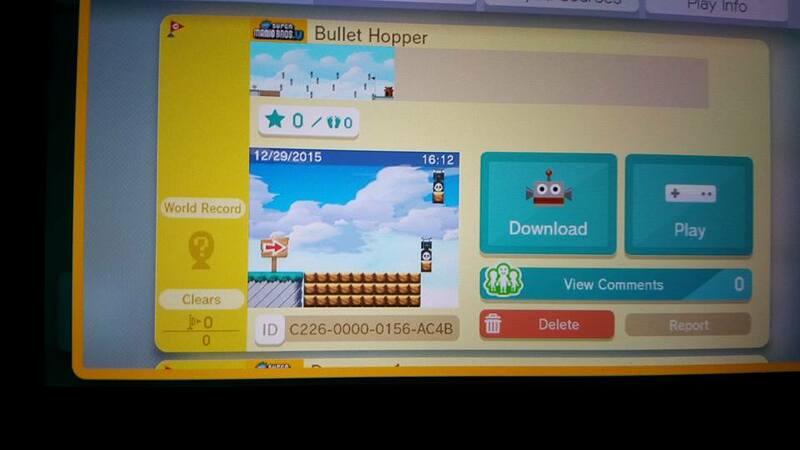 This is a shame, because I’d certainly like to see Mario Maker make its way into the hands of more players. It seems reasonable to expect a Wii U price drop this year, which should help, but will many more people buy the system once the NX hits? It’s doubtful. If the NX is a hybrid handheld / home console, as many suggest, I can’t say I’d be too disappointed about my Wii U purchase. I’d already be looking to upgrade to the next Nintendo handheld, so if it’s a two in one system I’d get access to the future Nintendo console releases and their handheld games with one purchase. A hybrid system would be the only way I’d consider upgrading from the Wii U so soon. A stand alone console would not make me want to purchase it, especially after seeing so few releases for the Wii U since its release. 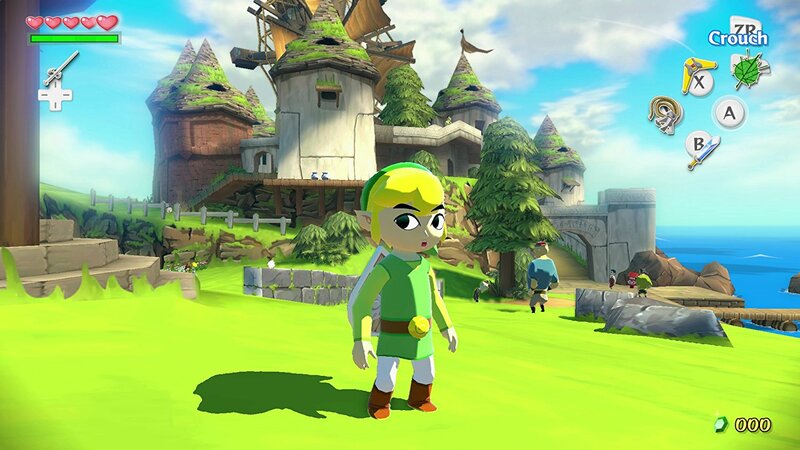 It’ll certainly be an interesting year for Nintendo, as hype for the NX builds alongside Nintendo’s foray into the mobile gaming market with Miitomo’s release this spring. Until then I’ll be enjoying countless hours of unique content with Super Mario Maker, Mario Kart 8 and Xenoblade Chronicles (I’m saving Super Mario 3D World until I get home). 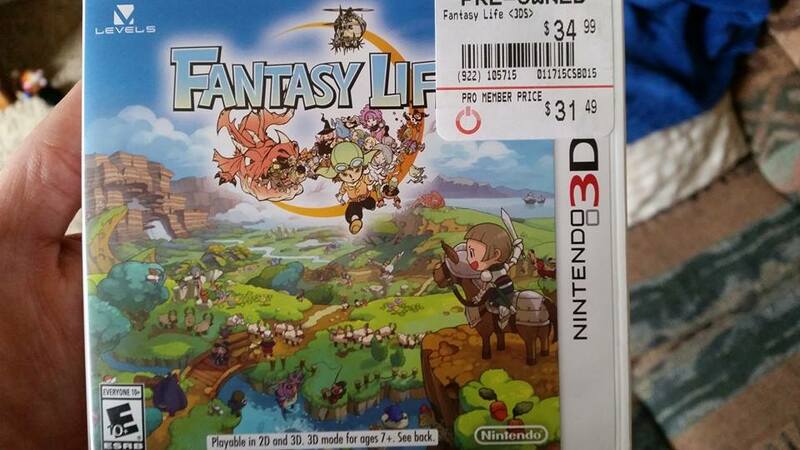 I finally picked up Fantasy Life today and I’m quite excited to dig into it sometime this weekend. 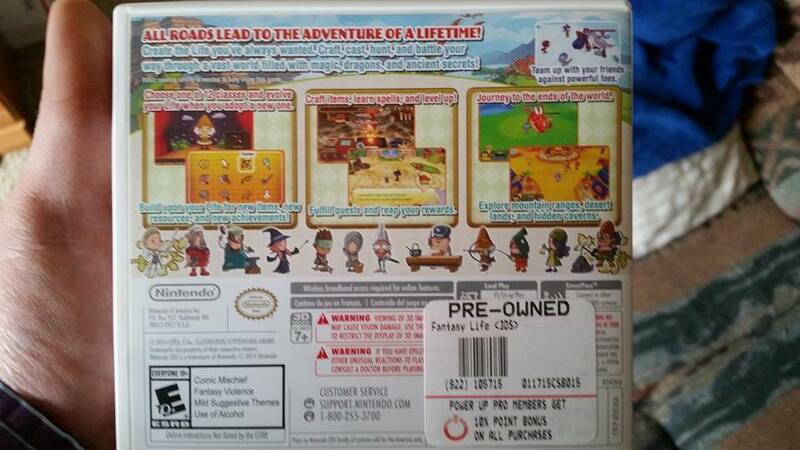 I don’t know a whole lot about it, but I’ve heard that a lot of players who enjoy Animal Crossing also enjoy Fantasy Life, and I’ve heard it described as an Animal Crossing – RPG mix, which sounds appealing. It looks rather light hearted and seems like something I’ll enjoy while taking a break from Shin Megami Tensei IV (which I’m enjoying quite a bit right now!). I set up my character and chose the Paladin life, but I haven’t left my character’s house yet. Looking forward to stepping out into the world! If you have any advice for a beginner, please feel free to leave it in the comments!